FEMALE Gold Chip embryos out of Atacama! If you are looking for show winning heifers in the future, do not hesitate anymore and take a look at lot number 7 in the Online Embryo Sale that ends this Friday 9.00 PM (Dutch time). These FEMALE Gold Chip embryos out of a VG-85 Windbrook trace back to Du Bont Vent Stormatic Atacama EX-95-CH! Multiple prices behind her name including Grand Champion Expo Bulle 2012! Lot. 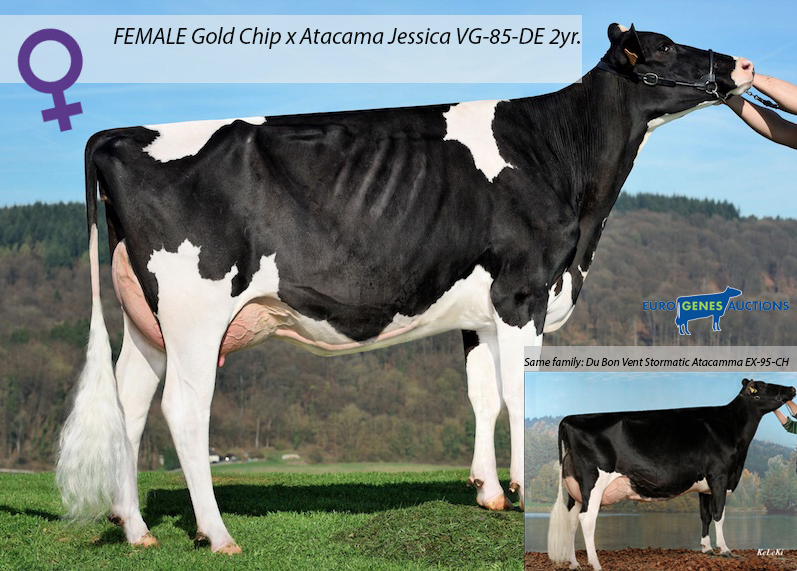 #7: FEMALE embryos: #3 GOLD CHIP x AGH Du Bon Vent Atacama Jessica VG-85-DE 2yr.